Homes for sale in Duxbury MA. Jim McAlear is a Real Estate Professional, Realtor, who specializes in selling luxury, executive, and waterfront homes on the greater South Shore of Boston MA, with a primary focus in the towns of Scituate, Marshfield, Duxbury, Pembroke, Hanover, and Norwell. 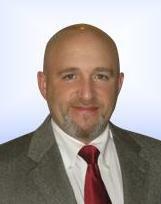 He is a life-long resident of Plymouth County, born in Scituate, currently living in Pembroke, licensed in the entire state of Massachusetts, whether you wish to buy a home, or sell a home, he has successfully assisted buyers and sellers through-out the greater South Shore and Plymouth County.